Florida Survival Gardening: Sweet potato firstfruits! It also had quite a bit of decent info on growing a variety of crops organically, including sweet potatoes, though it was too late to try any of the suggestions. See this treasure? 21lbs of nice tubers from about a 5 x 10 space. There would've been a higher yield if I had planted at a greater density - or waited a couple more months to harvest - or just planted sweet potatoes by themselves. 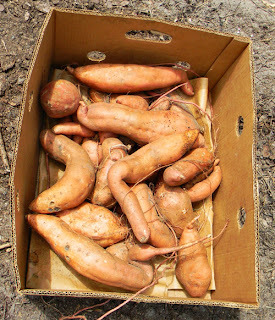 The first sweet potato vines I planted in that bed were intercropped with other plants that later expired in the heat. Fortunately, I have a bunch more sweet potato beds that I won't touch until November or so. You know, I have a problem leaving things well enough alone. Sometimes I just really, really want to dig things up and look at them. This is something that amuses my wife immensely. I know... it doesn't make sense for someone as hands-off and pro-nature as I am to get nutty about clearing beds and digging areas up before everything is ready to harvest. I'll bet the Best Ideas folks never do that. No, they probably have everything graphed out on charts and punched into calculators. But - while we're on the topic of Best Ideas, I have to say... I did adopt one thing from the book. 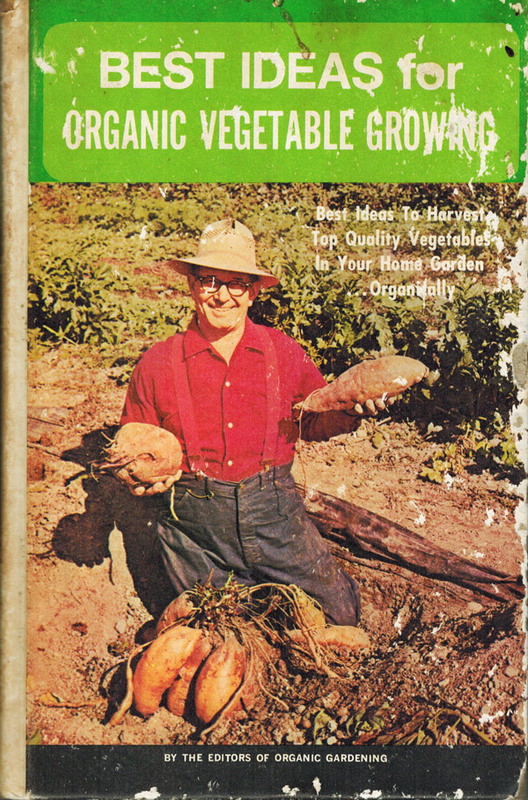 I am dying to dig up my sweet potatoes! For one thing they are taking over everything - under the fence, over the fence, through the fence . . . just crazy. I've also never grown them before so I'm eager to see if there's actually potatoes growing or if the vines are just hell bent on taking over my entire back yard! Oh yes, there are potatoes! Hold off as long as you can stand it and the tubers will just keep getting bigger. Good work! You'll find the largest concentration of sweet potatoes right where you first planted it, likely along with some secondary tubers here and there along the vines. 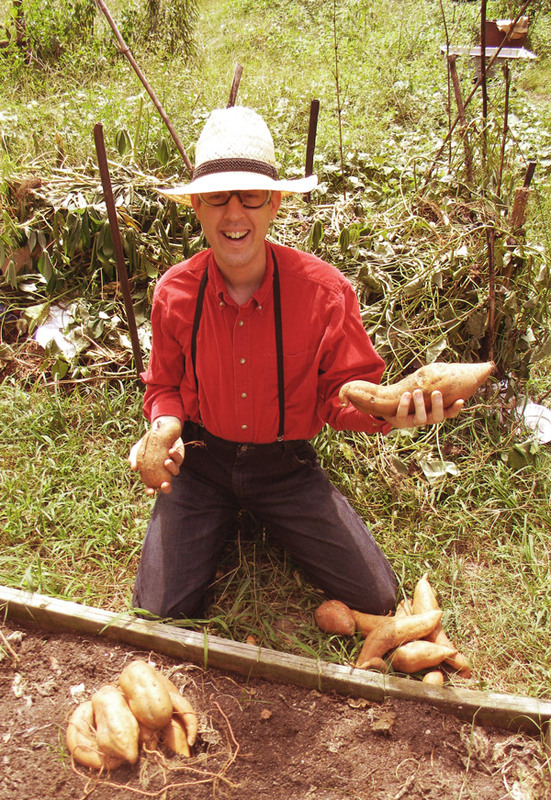 Digging up sweet potatoes is one of my favorite activities. It's like mining for gold.